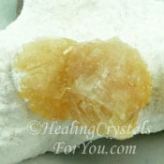 Crystal energy is the power that crystals naturally give off and that you are able to use to heal yourself. Some crystals have higher frequencies. Their strong energy fields can be used to raise your personal vibration. This page talks about stones with a higher vibration, that are powerful aids to move you forward in your life. 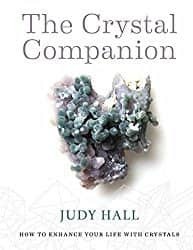 You can apply the metaphysical properties of these more powerful crystals, as you learn how you can use them to heal yourself. 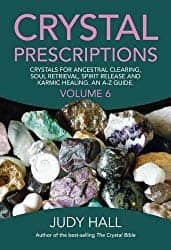 It is a great advantage to have natural crystals of any sort in your environment, and many people are particularly drawn to higher vibration stones as they have potent healing attributes. What Is Crystal Energy? Why Would You Use It? Many of the stones with the highest vibrations are rare minerals, but by combining one of the rare minerals with other more common high energy stones, you can create an amazing result. Herkimer Diamonds and Moldavite are two of a group of high frequency crystals that are easy to obtain, and these specific stones are of a very high frequency. You can use them to assist you to raise your vibration. This raising of your vibration may allow you to make contact with beings from other dimensions and also spirits in the higher realms. Using them in any way will aid you, and having them on your body is extremely beneficial. It is a personal choice whether to wear them as crystal jewelry or keep tumble stones on you in a pouch. 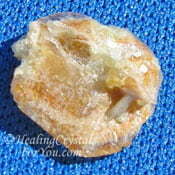 There are specific stones that are effective for physical healing, mental healing and others for emotional healing. Each of the chakras have a specific role in your overall health and your spirituality. Individual chakras affect different areas and the use of particular chakra stones create varied outcomes within the chakras. Most of the high vibration stones are very effective healing crystals for you to use, and will primarily effect change within the chakras above and including the heart chakra. 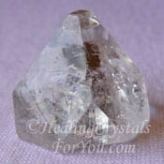 If you desire to develop specific abilities, or to find your spirit guide, use some of the high vibration crystals. Stones such as Datolite, Stellar Beam Calcite or Herkimer Diamonds, or any of the other stones on the list would help you. If you use these stones consistently, they may assist you to amplify gifts you already have. This includes psychic gifts such as psychic visions or clairvoyance and clairaudience or psychic hearing. Each of these psychic gifts have individual articles written about them, so if you would like to find out more about any of these, or any other subject, use the link to the sitemap at the bottom of the page. The higher the vibration of the stones that you buy, the better they are to use for spiritual healing. Many of you may ask why these crystals healing properties have been discovered now. Perhaps it is because we need to use their unique crystal energy at this time of intense global change. All crystals are of benefit to you, and which ones you select will depend on your reasons for choosing it. 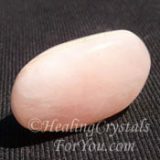 As many of you are working on your personal and spiritual growth, you may find that you are being drawn to high crystal energy stones. 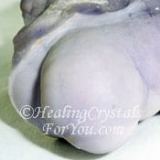 You may wish to choose to stimulate the development of psychic gifts, and to develop your intuition? So if you do not have these gifts, and wish to develop your psychic communication abilities, these higher frequency stones are the ones to use. It is important when working with spirit to ensure that you are aware of the need for using psychic protection. While using high energy stones, be aware of the need to take action to ensure you are protected. This is essential, and an easy way to do this is to keep specific stones for psychic protection on you when working with the high vibration stones. There are some stones that are both protective and grounding. This includes stones such as Sugilite, Purpurite, Black Tourmaline, Smokey Quartz and Charoite. 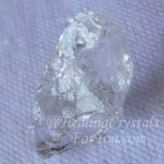 Some of the high crystal energy stones are classified as rare, and many of these are not commonly available. 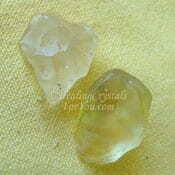 Stones such as Moldavite and Herkimer's are very useful, when other high frequency stones are difficult to obtain. If you are able to buy one of the other high vibration stones, many of the specimens that you can obtained may be very small, due to cost or availability, as large pieces of many stones are less common. These smaller stones, like Natrolite, Herderite or Phenacite can be used as is, but they may benefit from the addition of either a piece of Rhodizite, Moldavite or a Herkimer. If you use them in a meditation to boost psychic gifts, it will aid you to develop a range of psychic abilities, and to make contact with beings in the higher realms that are aiding our planet at this time. 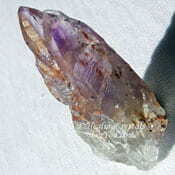 The Elestial Quartz configuration is one of the quartz formations that is one of the high vibration stones. This is one of the quartz varieties that is known as one of the more potent quartz configurations or formations, which makes them even more powerful for spiritual growth. It has strong metaphysical properties, and allows you to receive an infusion of the love and light from the higher realms at a comfortable frequency. 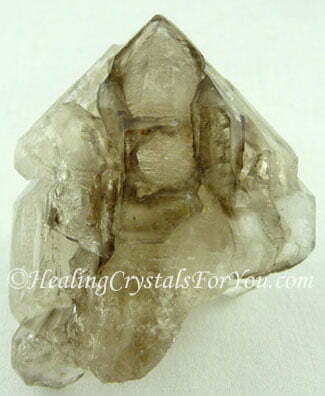 This quartz variety is quite unusual, and carries a high energy and an amazing vibration. Using Isochronic Tones may aid the meditation process, and may be used in combination with any of these powerful high vibration crystals. As you make regular contact with spirit, this can assist you to make the changes you need to navigate what may be a most eventful time ahead. Many people are drawn to high crystal energy stones at this time of extraordinary changes on the earth. The higher vibration crystals are the primary healing stones that may be used to assist you in your spiritual healing journey. Many of these stones have potent energy that may create quite amazing change in your life. If they are within your auric field they will resonate with a constant high vibration energy, and this is a vibration that your body may use to heal itself. 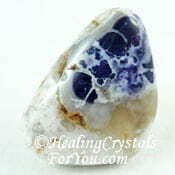 Depending on what sort of healing you require, there are special stones that you might use for different reasons. Most of the stones of a higher vibration resonate most strongly within the chakras from the heart up. 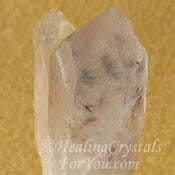 These crystals are particularly powerful when used in combination with all or any of the other high frequency stones. The reason for this is that the energy of Herkimer's or Moldavite may raise the vibration of any stone in their vicinity. These combinations will make an overall stronger healing vibration. Some of the other high frequency stones that are used with Moldavite and Herkimer's can be seen in the pictures in the area at the bottom of the page. 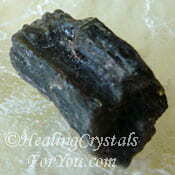 Both Moldavite and Herkimer 'Diamonds' are powerful high crystal energy stones when used on their own. One potent way of combining these stones is to attach a tiny one of each of them to a long flat-sided Selenite wand. Making a multi crystal wand allows you to use the amazing range of different crystals healing properties together, for an extraordinary healing outcome. There may be others, apart from those listed above, that have the high frequency qualities. However these particular stones when united work synergistically to create a powerful healing combination. 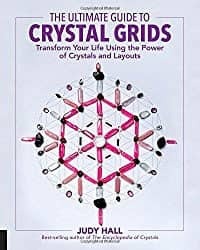 How Do High Crystal Energy Stones Help You? 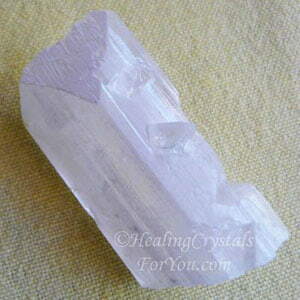 Pink Danburite can be seen in the image below, and is another one of my favorite high crystal energy stones. It has a lovely high vibration, that will connect you to the higher etheric chakras. As the energy of many of these stone have the potential to make you ungrounded, it is best to use them in combination with grounding stones. Being ungrounded for long periods of time may cause a range of health problems. So ensure that you keep one or more of the specific stones for spiritual grounding on you, when working with high energy crystals. After you have used these high energy stones, be aware that you may feel ungrounded. By keeping grounding stones on your body, especially any of the beautiful black gemstones that are earth star chakra stones, you may avoid problems. A specific meditation for grounding is on the article about grounding stones. If you do become ungrounded, do a grounding meditation to bring yourself back to normal. 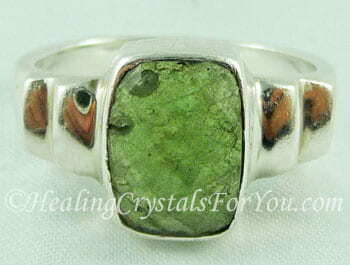 Keeping the energy of high vibration jewelry, such as a Moldavite ring, shown in image, is an easy way to use this stone. 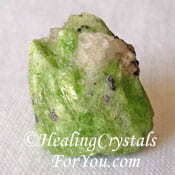 Moldavite is also known as an excellent stone to use for psychic protection. There are different methods used by healers to use these high vibration stones, and wearing any of these stones on your body is very effective. 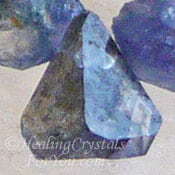 On the individual pages for specific crystals I give you more in-depth information on how you might choose to use that crystal, and this applies to many of the stones shown on this page. Crystal healers have been working to create the right combinations of these stones, and use their crystal energy for different healing purposes. Using a multi crystal wand, creating grids around the body or laying the stones on the body are some of the ways they may be used. It is valuable to use your intuition though, and allow Spirit to guide your choice. It is possible for anyone to use high crystal energy stones, just buy them, then use different ways to utilize their strong vibration. Try combinations of these stones together for yourself. See how you like the resulting crystal energy that blending their energies creates, and enjoy any new gifts that may result. 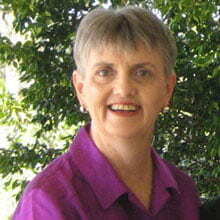 Seen Judy Halls Latest Books? 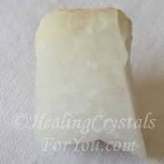 Petalite helps you to make a deeper connection to the spiritual realm. 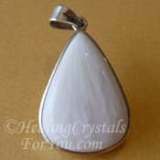 Scolecite has a high vibration yet is very calming, and may assist you to have a good nights sleep. 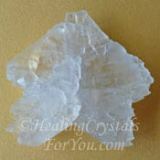 Selenite crystals have an excellent healing vibration and also may help to relieve any stress or anxiety. 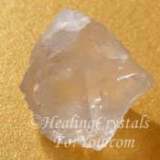 Stellar Beam Calcite is known as an ascension stone, as its vibration has a strong spiritual nature. 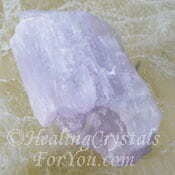 Yttrium Fluorite is also known as aka Lavender Fluorite. It aids both mystical and spiritual growth. 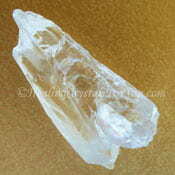 Nirvana Quartz is also known as Himalayan Ice Quartz. It helps you to move towards that state that is known as enlightenment. 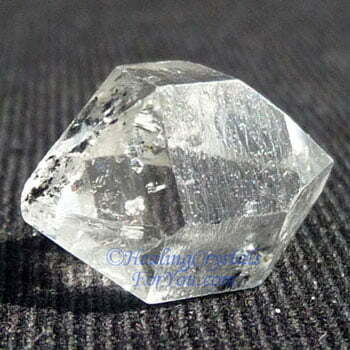 Herkimer Diamonds act as powerful amplifiers when you are using them with smaller stones. 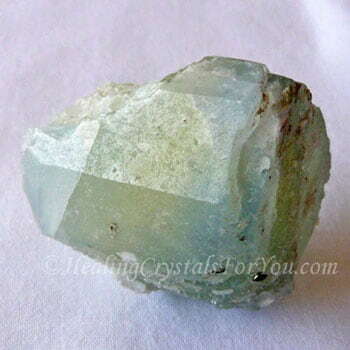 Datolite eases stress, fear and grief. Aids problem solving and improves memory. 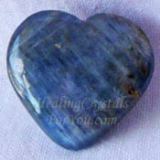 Blue Kyanite is a powerful stone to use to align and clear the chakras. Libyan Desert Glass aka Libyan Gold Tektite is a high vibration silica rich glass from the desert in Libya, that embodies the golden ray, a powerful spiritual energy. 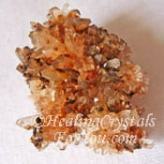 Rhodizite Crystals will magnify the energy of any other stones you use with them. 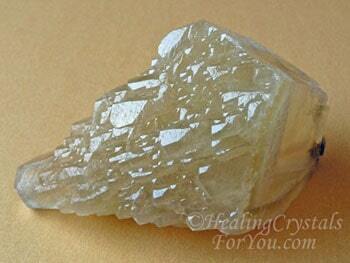 Golden Herderite are powerful high crystal energy stones, that stimulate dormant areas of the brain. 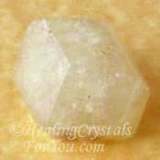 White Cryolite connects to beings in the higher realms, assists lightbody awakening, ascension and enlightenment. 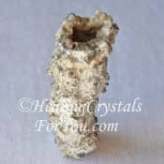 Blow through a Fulgurite Tube to send your desires to the Universe. 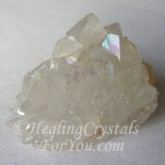 Peachy White Heulandite stimulates your brain and helps to release karma. 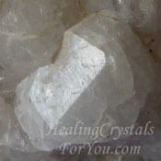 Natrolite helps to create amazing personal shifts. 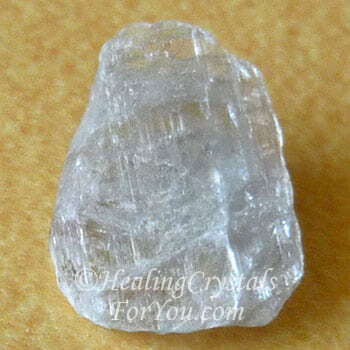 Read about Phenacite, high vibration crystals that activate your inner vision and open your higher chakras. 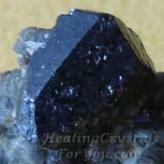 Learn about Brookite, which helps you to meet spirit guides in the higher realms. 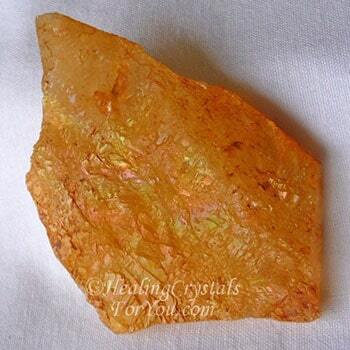 Discover how Orange Creedite helps to expand your awareness. 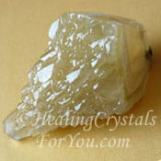 Aurora Quartz is also known as Anandalite. 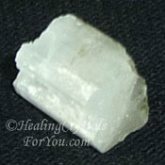 These crystals may stimulate feelings of joy and happiness, and a sense of what can almost be described as inner rapture. 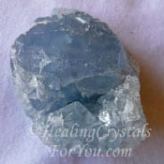 Learn how Blue Celestite helps to contact guardian angels and to develop the gift of prophecy. 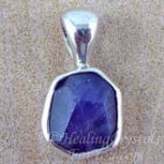 Tanzanite Crystals are powerful violet flame crystals that aid healing and they also assist the development of psychic gifts. 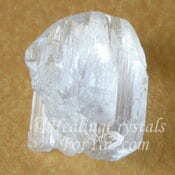 Clear Apophyllite Pyramids stimulate your pineal gland and help to open you up to spiritual awakening. 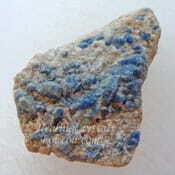 Tiffany Stone is also known as Bertrandite, and is useful to help you to develop your psychic abilities. Do you think that you might be ungrounded? If so, do you know what the symptoms are? Check here to discover, are you ungrounded? Send negative energy back using Fire Agate. Do you know the best methods for cleansing your crystals? Read crystal book reviews, to learn what the best selling books cover. As pages are written I will add links to the page, but for now you may check out their short description in the applicable A to Z page. 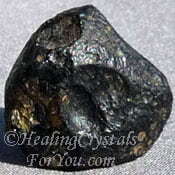 Some of high vibration stones are hard to obtain, but they are of value to find as they have wonderful energy.